Boldly Chic Events: Planning Should be Sweet not Sour! Planning Should be Sweet not Sour! Every bride and groom should be able to look back on their planning experience and have good memories - not sour ones! That said, the planning process (with or without a planner) can be stressful. Here are some common stresses that we have seen pop up for our couples and the advice we would give you if something similar happens as you plan for the big day! Your venue suddenly shuts down (yes, this has happened!) and you are now without a place to host your celebration. Trust that there is another venue that will be perfect for you and your fiancé. I know. I know. That is easier said than done. Your stress level will certainly skyrocket if this does happen. But, rest assured that wedding day will still happen and still be exactly as you had imagined. Take things one-by-one. First, determine what money is owed to you from the original (now closed) venue and work to get that back as soon as possible. Keep in mind that this could take time and you may need to use other funds to pay for the replacement venue while waiting on your original money to get back in your bank account. Second, begin contacting other venues that you had originally considered and see what is available and if they may be able to help you in this sticky situation. Many places are more than happy to help in such a devastating moment. Finally, look for the lemonade. There is a sweet side to every disaster and you must look and find it before you will be able to be a happy bride on wedding day! You have suddenly realized you've overspent on your budget (by a TON!) and you are panicked! Some of our clients do not contract us to help them with budget, though we always recommend they do. Your planner can not watch and manage a budget they have not been monitoring along the way. So, this situation will likely only occur if 1) you do not have a planner in place OR 2) if you have one in place but you are not utilizing their budget services. If you do get in this bind, you must breathe, communicate and be flexible. Vendors are typically always glad to help you work within your budget, but you have to communicate and help them understand what that is (within a timely fashion and not too close to wedding day, of course!). Being flexible is tough for brides - but that is just a "must" in this situation. You will feel better after things are back on track and money is not an issue. Your mom is driving you big, giant bananas. Enjoy this time. Even if she is being incredibly overbearing. It is probably because she loves you so much, right? Stop taking it so seriously and enjoy being the bride and let her enjoy being the mom. If it is really an issue, keep your planner in the loop and they will play referee. Mother-daughter relationships are one of the sweetest relationships on this planet, and you have to embrace this special time together. I am imagining I will most certainly drive my little girl crazy when she plans for her wedding day decades from now. You hated your hair and makeup trial and you want to die. There are tons of ways to fix this, sweetly and easily. If you really think you have found the right stylist for you, chances are they simply didn't get it right on the first try (it happens a lot, believe it or not). If you are feeling like that is the case, ask them if they would consider doing a second trial at no cost or at a discounted rate to insure things are perfect before wedding day. If you are completely uncomfortable with the stylist and the trial look, there are a large amount of talented hair and makeup artists in every city and you must look elsewhere. Breathe and know that every big event comes with little challenges in the planning. Every. Event. You haven't heard from a vendor after emailing/calling them over and over with a very important question. If you have a planner, hand it over to them to fix and resolve. If you don't, work to find other ways of reaching them (FaceBook, Twitter, Website). If that doesn't work, it might be better to change vendors. Quite frankly, brides are important clients and should be treated as such. So, consider it water under the bridge, smile and find someone that you love more. Find someone that will respond in a timely manner, period. All this said, so many stresses will happen when you are planning the day you will marry your love. Trust that it will be okay. TRUST the experts you have hired, TRUST your family and friends will make the day beautiful and full of memories, TRUST that you will have an amazing time, TRUST that things may not go perfectly but that you will probably never know or need to know, TRUST your instincts along the way. Simply, very simply, trust. It is never easy to put such an important moment in the hands of others. But (at least speaking for the BCE team), your vendors take this day so incredibly seriously. They will take care of you like family. So, breathe and enjoy. Smile and take it in. 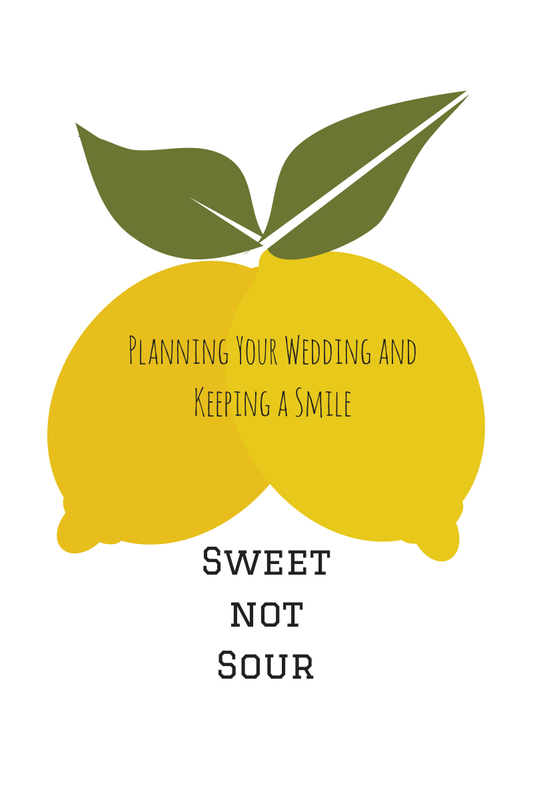 Don't let the "sour" outdo all the "sweet" of your engagement and wedding day!